In an era where natural resources are becoming more and more scarce it was high time every individual gave his or her contribution to preserving what we have left in order to have a normal future ahead. One of the most important areas that require immediate attention surely is the use of drinking water resources and this was clearly recognized by the manufacturers. The offer of contemporary water saving devices has never been so vast and certainly deserves an insight, all in order to motivate as many people to join the circle of satisfied users and nature preservers. The fact that toilets are the top consumers of water in the majority of households clearly puts the emphasis on how important their upgrade for the overall success of your water saving plans is. When you compare the figures that say that older types of toilets (made before 1990’s) consume up to 5 times more water than the latest low-flow ones ( 5 to 7 gallons per flush compared to 1,6 gallons) it is easy to conclude that just by replacing them you will be able to save thousands of gallons of water annually. These handy inserts are an affordable and convenient way of making even more difference when it comes to toilet water consumption. Their simple installation requires absolutely no skills and will be over in under a minute. There are various capacities available, the most common being 0.8 gallons and if filled to its full capacity and placed in the water tank, it will save exactly that amount of water every time you flush. For all those who regularly enjoy the benefits a long shower provides intelligent shower heads are a lifesaving invention when it comes to keeping the water consumption under control. Even the least efficient of intelligent shower heads provide substantial water savings while the most advanced will cut it in half. 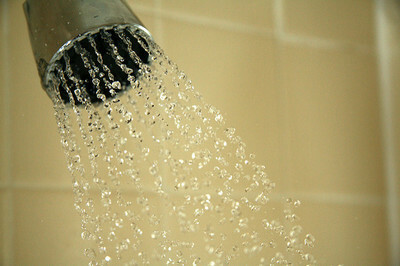 This is especially noticeable with large families, particularly since using them means saving hot water, as well. The savings in this case also amount to thousands of gallons per year. This long title is behind a simple device that is often neglected but is capable of providing substantial savings, especially if used in a combination with an intelligent shower head. This valve allows the users to drastically reduce or temporarily stop the water flow, for example when soaping or shampooing. 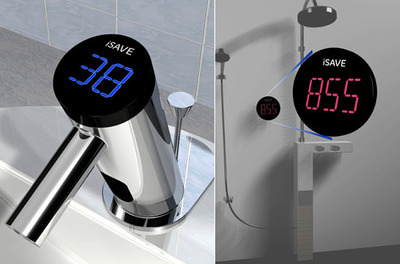 The combination of this flow control valve and an intelligent shower head can result in as much as 70% of showering water saved. In an era of technological advancements, regular maintenance is often neglected and its importance often not acknowledged. There are numerous reasons why this approach is wrong. For example, if unattended, leaks and drips tend to result in serious waste of water. The same goes for any clogs or drainage blocks. What is more, if unresolved, they can lead to full drainage blockage and pipe raptures that often remain invisible, causing significant water loses with every second that passes, claim Sydney-based plumbers specialised in blocked drains. Therefore, make your inspections and maintenance regular. 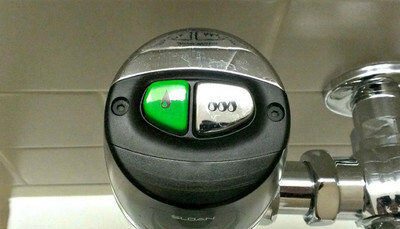 This list contains just several of the most prominent water saving devices available today. It features those that are most efficient and convenient to use and at the same time provide clearly visible instantaneous and long term results. On the other hand, it is by no means final. Hopefully it will inspire you to further explore the world of water saving devices and create your own list of the gadgets you use regularly with the aim to put your water consumption under control.